If crooked teeth make you feel self-conscious when you smile, you don’t have to live with them. 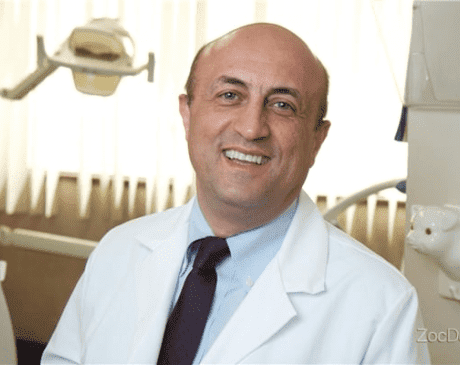 Dr. Binafard and the team of dentists at La Jolla Dental Group in La Jolla, California, use Invisalign® and other cosmetic dentistry procedures to give you the beautiful smile you deserve. Call La Jolla Dental Group to learn more about how Invisalign can help you, or book an online appointment today. Dr. Binafard determines if Invisalign is a good match for you after reviewing your medical history and completing a thorough dental examination. After Dr. Binafard obtains images of your teeth, a lab makes Invisalign aligners using a patented SmartTrack® flexible material. Compared to traditional braces, Invisalign is less invasive and a good option for many adults and teenagers. When your Invisalign aligners arrive, you’ll wear them for about 20 to 22 hours every day. You’ll take the aligners out to eat and brush your teeth. When you wear aligners regularly, your teeth gradually shift into a straighter, more desirable alignment. You may need a new set of aligners every week or so and will come in for checkups at La Jolla Dental Group about every six weeks. Dr. Binafard lets you know how long you’ll need to wear aligners to maximize results. 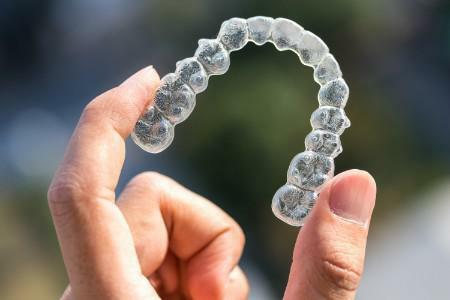 After Invisalign treatment is complete, ask Dr. Binafard about wearing a custom-made Vivera® retainer to keep your teeth straight indefinitely. When you’re ready to achieve the beautiful smile and self-confidence you deserve, call La Jolla Dental Group today or book an appointment online with Dr. Binafard.